New book looks back at Detroit’s musical legacy from the 1940s-1960s. Detroit is known as Motown, but there’s more to the city’s musical history than the funky sounds coming out of Hitsville U.S.A. from the Supremes and Jackson Five. 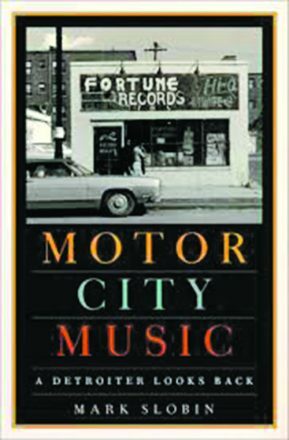 From the 1940s-1960s, there was a huge variety of ethnic music-making across Detroit’s 139 square miles, writes ethnomusicologist Mark Slobin in his new book, Motor City Music: A Detroiter Looks Back (Oxford University Press, 2018), the first-ever historical study across all musical genres of any American city. 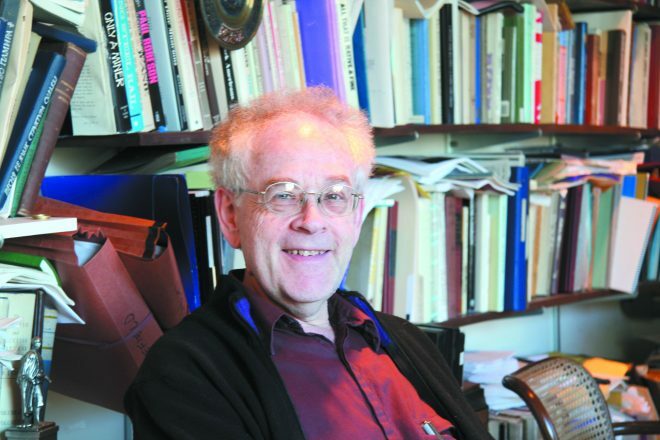 The book is “part memoir, part social history, written for a general audience,” said Slobin, whose previous books about East European Jewish music and klezmer music, as well as the music of Afghanistan, were written for a more academic reader. Slobin is professor emeritus of music and American studies at Wesleyan University in Middletown, Conn.
“Detroit in the 1940s-’60s was not just ‘the capital of the 20th century’ for industry and the war effort, but also for the quantity and extremely high quality of its musicians, from jazz to classical to ethnic,” writes Slobin, who grew up in Post-WWII Detroit in the heart of the Jewish community. Slobin begins the book with a reflection of his early life. Looking first at the crucial role of the public schools in fostering talent, Motor City Music surveys the neighborhoods of older European immigrants and of the later huge waves of black and white Southerners who migrated to Detroit to serve the auto and defense industries. His family valued music highly. “They sang a lot. Around the piano. In the car. And it was a ritual to buy season tickets to the symphony. Music was important in our lives,” he said. Although Slobin had a bar mitzvah, his family wasn’t very observant and did not belong to a synagogue. Slobin began violin lessons when he was 4, taught by family friend Ben Silverstein, whose son would go on to become the concertmaster of the Boston Symphony. Slobin was in the all-city orchestra by the time he was 6 or 7. After Silverstein’s untimely death five years later, Slobin continued his studies with other teachers, “three of whom, all in the Detroit Symphony Orchestra, later moonlighted for Motown,” he says. Slobin did a lot of his research for the book using the Detroit Jewish News Foundation William Davidson Archive of Detroit Jewish History, where he searched through the pages of the Jewish News to see what the community was doing. “A lot of what the Jewish community did was outreach through ecumenical concerts — projecting themselves into the life of Detroit,” he said. 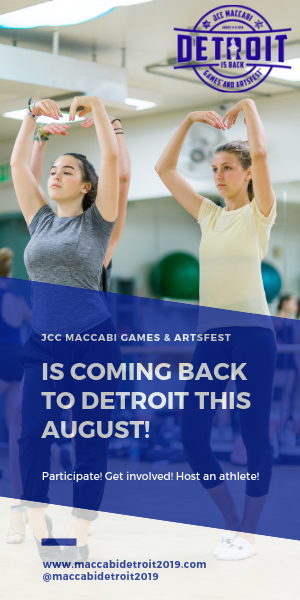 Yet classical music remained at the heart of Jewish Detroit. In the 1940s, he writes, Julius Chajes was brought in to run the JCC orchestras and did some astounding things. “It was the most elaborate cultural programming of any Jewish Community Center in the country,” said Slobin, who shares the stories in his book. The Detroit JCC had a school of music, and the Junior Music Study Club at the JCC did a lot to promote musically talented youth, said Slobin, who also studied at Cass Tech, where he played in the orchestra, “which produced a lot of musicians, including Darwyn Apple, a pioneering African American orchestra player who had a long career in St. Louis. Also, the Barnes brothers, Robert and Darrel, who worked in the Boston and Philadelphia orchestras later.” After high school, he headed to University of Michigan, where, except for a two-year break studying at a New York conservatory, he earned bachelor’s, master’s and doctorate degrees. 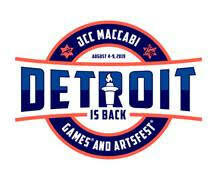 According to Slobin, “Many Jewish classical musicians came out of Detroit. The educational system believed in music as not just a leveler, but a career path in those days … The public-school system in Detroit had a long-term effect on the dozens of children who went on to active lives in music from Detroit.